Hi! I just started playing LW and so far it’s been me going in one direction finding nothing. I’ve know about the game a while before hand, and know there’s much more to it. Help? What can you tell us about the character you picked? The area and season you started in? What kind of supplies you’re looking at? I usually pick Native American ( I relate most to him for I’ve been hunting/fishing around where I live since I was 4) and I usually start at the option one right of the gates. Summer season and default items that correspond to my avatar. This reply was modified 2 years, 1 month ago by Nebula. Well a good start regardless of build is to find water. Water is life and with water you can at the very least catch frogs, which are good even if I’ve been told they have a low chance of stomach infection, however the odds must be very low since I have yet to ever get one. I like to live off frogs until I can kill something. Fishing is also good but is like pulling teeth when using a spear with a low skill. I recommend not really trying much until you get rod or net. Nets are the best as they can get multiple fish at once for you to cut open. Cooking is vital when you’ve finally got meat and fish but expect to burn a lot of stuff. If you’ve gotten more than a few cooked food try smoking what you have yet to cook since cooked food only lasts about a day and you’ll probably go through 2 a day at the most. Smoked food lasts somewhere around 2 in game months if I remember correctly, same with Pemmican. The best way to start a fire, something that ignores any rain is pyrite and silex (is that it?) as banging them together will make sparks and is much faster than improvised fire. You can find them by picking up rocks but it may take picking up ALOT of rocks. 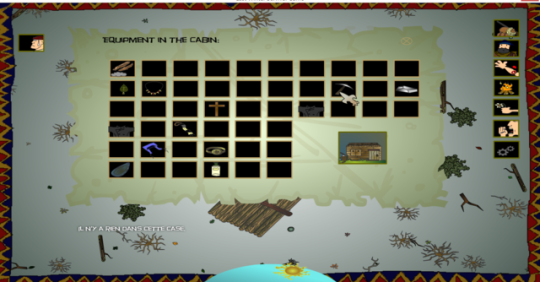 If I recall in the current build you don’t need anything to build a cabin, just pick the options and you’ll be able to build it as if you had the required items in your inventory. Cabins don’t do a lot and may be a little buggy so be careful. I do believe Quebec and Montreal are fixed locations you can find if you wish to visit. On the old forum there were the posted coordinates to them. I made the trip to Quebec or Montreal by spawning near and confirmed it was the same long and lat that was posted, never made it to the other one. I’ve long since lost the coordinates since I saved them on notepad in an old computer that is no longer with me. I seem to remember being able to do a few extra options for things to do in Quebec. How the hell do you catch frogs? Is it an action? Well, first death in LW. Lasted about a week xD. It shall be hard to death after you survive first three day. Mostly cause will be hurt. How does one build a hut/cabin? Go to the action menu and pick the option with the hammer. You need to clear a space, lay down some floor boards, put up 4 walls and a roof. I don’t think you need the actual materials to do it right now but building a hut is a lot of hard work if you actually go about cutting down the trees. Thanks Snarst. Another thing though: whenever I steal from an empty house (Only if i’m desperate) all of the items I try and take say something in french that translates to there is nothing on this box. Is this fixable? There are a lot of bugs in this game and it has been years since it was last updated. Several of them are not game breaking but noticeable such as the house one. A bug you might want to try and take advantage of is to kill a deer and skin it. I’m not sure if it’s the skin or antlers but every time I skin a deer the inventory will be NA weight and you can pack as much as you like without being slowed down. If you don’t mind me asking, how did you die? Did you piss someone or some wild animal off? Well, Some guy was over excited to meet me (super smiley face), I asked him about trading posts, and he shot me.